In the communications industry, it’s inevitable that you will be faced with situations that are beyond your control. Whether it’s a missed media interview, event hiccup or other unpreventable situation, we’re often charged with finding a quick and strategic resolve. Some may think that these occurrences are less likely for established and award-winning agencies, but that is far from the truth. Here at FCG, we never focus on the problem at hand, but remain solution-oriented at all times. After all, there isn’t room for panic when you’re in the throes of it all. 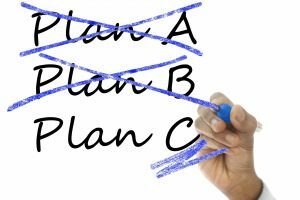 No matter how much we prepare and come up with contingency plans, unforeseen situations tend to find a way into the mix and need to be handled quickly. In most cases, though, the resolve is quite simple and does not cause damage. 1. Identify the Problem/Threat –You’ll likely receive a call, email or some form of indication confirming that there is an issue. 2. Quickly Weigh Your Options – The first order of business in the case of the unexpected, is to quickly think of the various options, and consider the pros and cons of each. 3. Notify the Appropriate Parties – In an agency setting, the internal team and client are typically the first parties to be brought up to speed. 4. Determine the Message– Once you’ve come up with the resolution and notify internal stakeholders, you must now decide how the message will be communicated externally. This takes a lot of thought and consideration, as you must position it in the most positive way possible. 5. Communicate with External Parties – Whether you’re rescheduling an interview or cancelling a large event, you must communicate the result with the appropriate external parties. In this communication, you must be concise and avoid providing too much information. Stick to the shareable facts. 6. Monitor the Outcome – Unforeseen circumstances have potential to put a strain on relationships or reputations. Here you must closely monitor the situation to ensure that it doesn’t create negative backlash or damage relationships with key stakeholders. These steps are all essential to determining how and when to pivot from an original plan, because the most airtight execution can experience an unexpected occurrence. But in this industry, the problems you encounter are far less important than how you navigate through them. In the end, clients and external partners understand that these things happen. Simply put: Act swiftly, strategically, and thoughtfully when dealing with the unexpected. This is sure to get the results that everyone desires.